The Sign Design Society, through our monthly talks and publication The Sign Design Guide, takes a keen interest in design to improve the lives of disabled people. For SDS members and other wayfinding industry professionals who wish to develop their understanding and design practice further, you may be interested in the new MSc: Disability, Design and Innovation, awarded by University College London. It is hoped that this masters course will create a new breed of graduates with the skills to be the next generation of disability product innovators. Applications are now open for the 2019/20 intake. 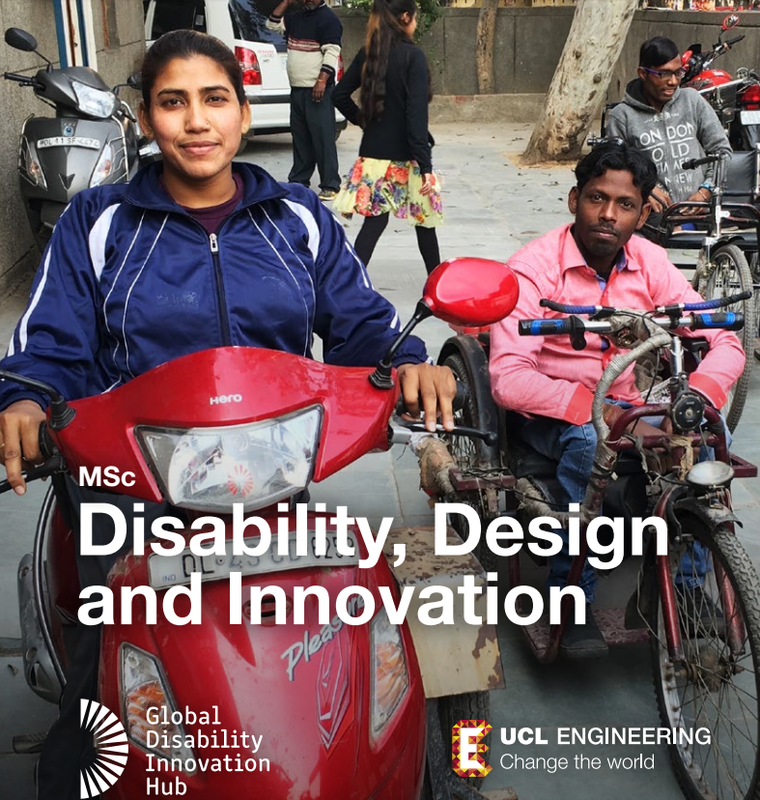 The MSc in DDI is the flagship programme for the newly established Global Disability Innovation Hub (GDI Hub), which brings together world leading expertise in disability, technology and innovation from its three founding partners: UCL, Loughborough University London and the London College of Fashion. A research, teaching and innovation centre, based in the Queen Elizabeth Olympic Park, the Hub uses an inter-disciplinary approach to create new devices, services and environments to improve the lives of disabled people worldwide through collaboration, study and creative thinking.